Summer fun in a hot city is causing traffic issues in the northwest suburbs. ALGONQUIN, Ill. (WLS) -- Summer fun in a hot city is causing traffic issues in the northwest suburbs. 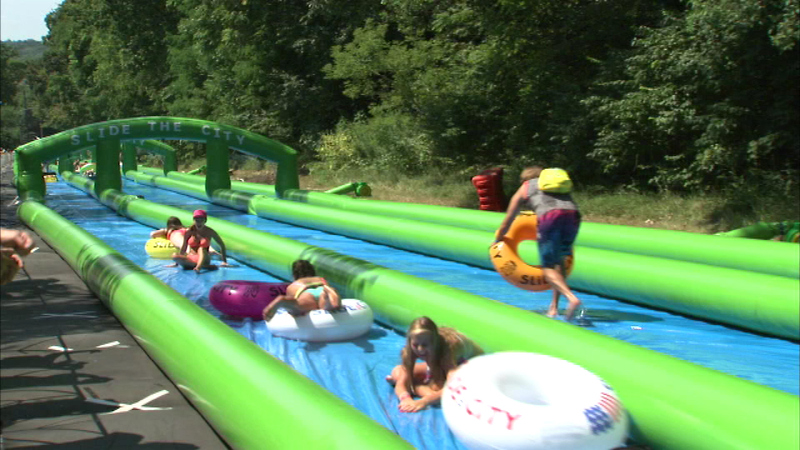 A 1,000-foot long water slide is taking up Main Street in Algonquin this weekend as part of the suburb's Slide the City Festival, where residents can take rides on the giant slip-and-slide for a cost. Some residents are unhappy about the festival, saying that it is causing traffic congestion in the area and putting them under parking restrictions.